MERGE! 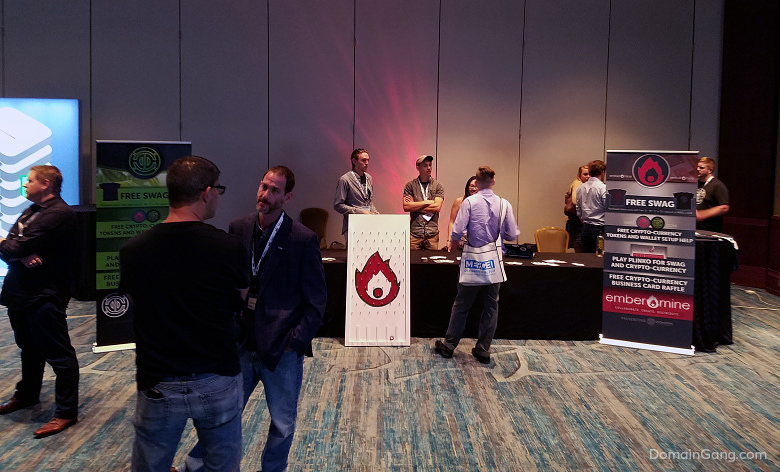 2017 continued today, Sunday, in Orlando, Florida, with Day 2; the multi-discipline conference attracted professionals from various realms, including domain investors, cryptocurrency technologists, marketing and branding experts, and more. 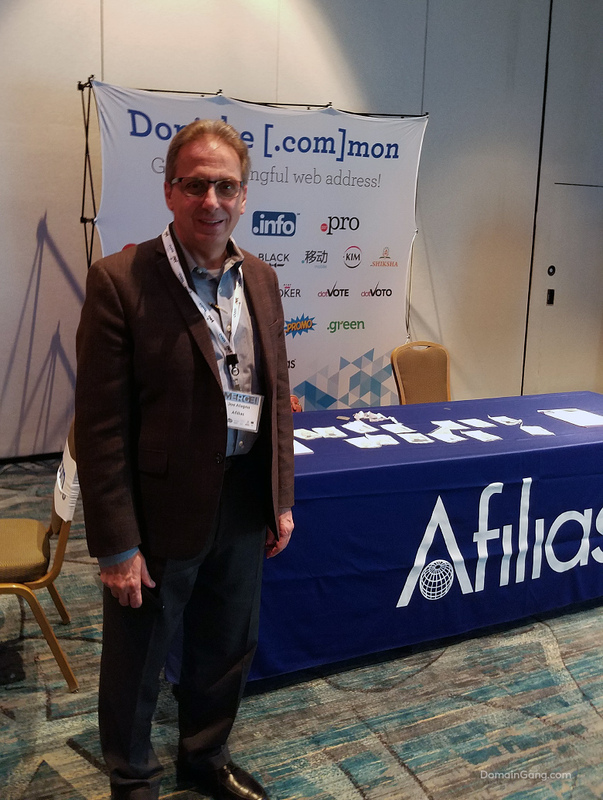 The day started with the welcome message by co-founder, Jothan Frakes, the keynote speech by Jennifer Wolfe, followed by a fun game of “Domain or Not Domain” – Larry Fischer invited domain investors to guess whether a domain is registered or not. Lots of interest in the blockchain session, covering the basics of a software technology that’s about to revolutionize many aspects of how we conduct transactions in the future. 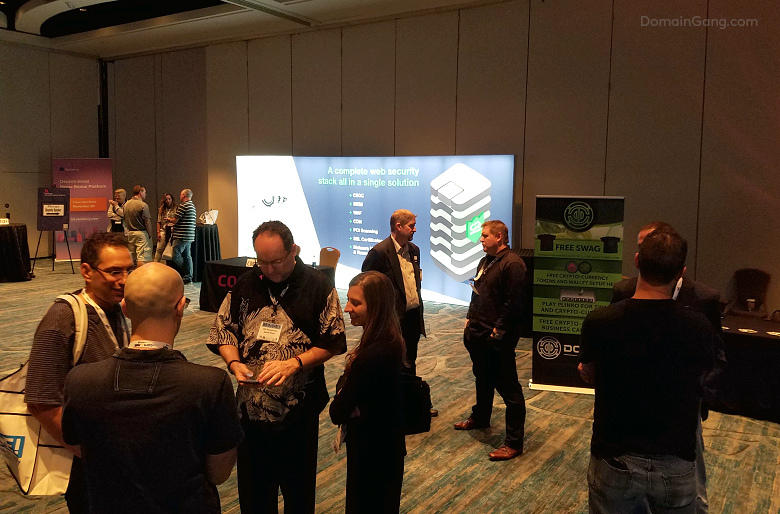 Ken Hansen of Farsight Security, shared his vision of blockchain tracked freight containers, that will change the global tracking of inventory, tapping a $25 billion dollar industry by eliminating the amount of empty containers being shipped around. 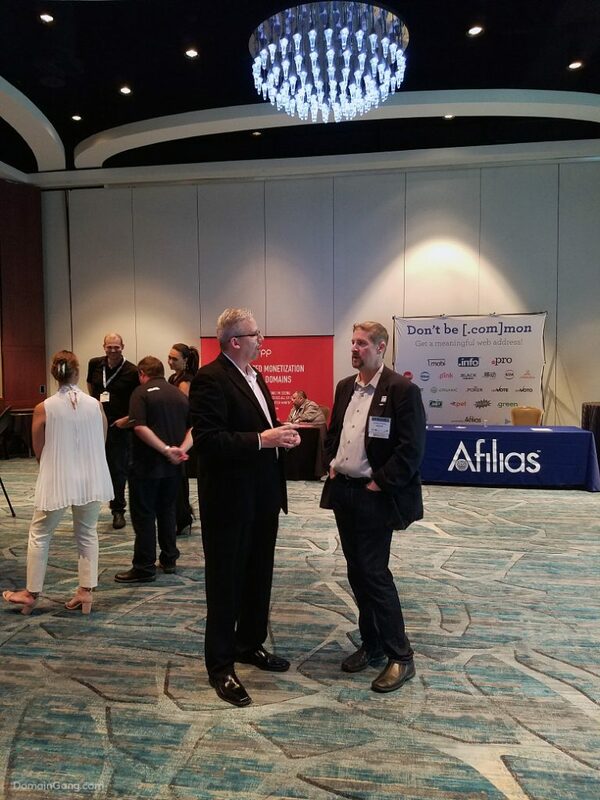 A session on domain name security and ownership protection was presented by Bill Sweetman and yours truly; expect photos from Ron Jackson and DNJournal, as we took no selfies during the one hour long session. Keep track of current stolen domain assets by visiting DomainCrime.com. Monday will be a busy day for MERGE! 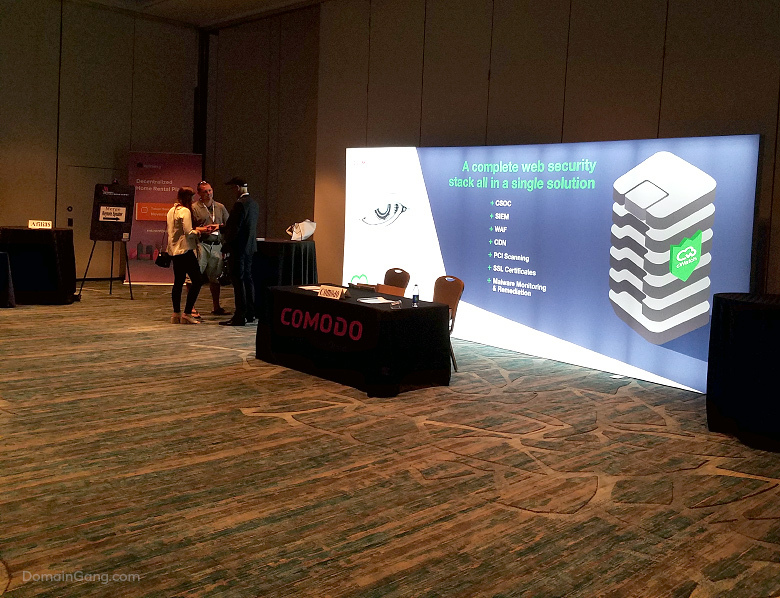 2017, as all attendees are finally here, and domain investors get acclimated to the conference’s structure. Check out the schedule, and enjoy some photos from Day 2 of the conference below, as well as photos from Day 1. 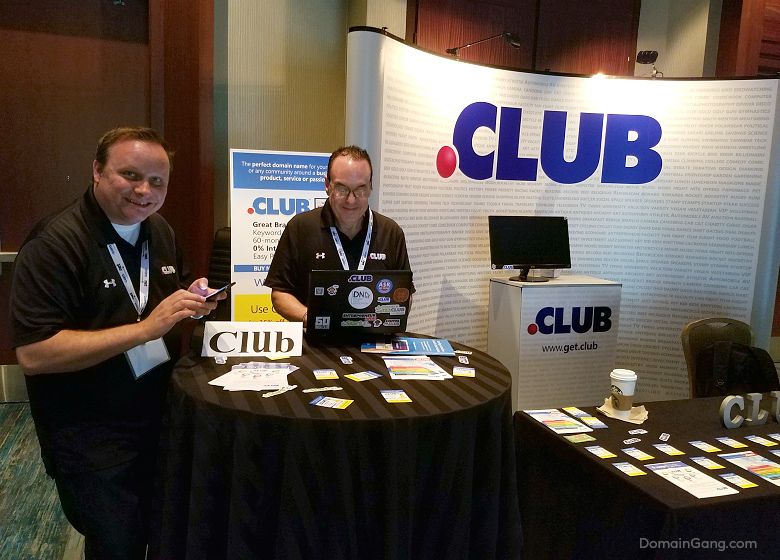 MERGE – Exhibits area: Dot .CLUB Registry. Colin Campbell and Jeff Sass. 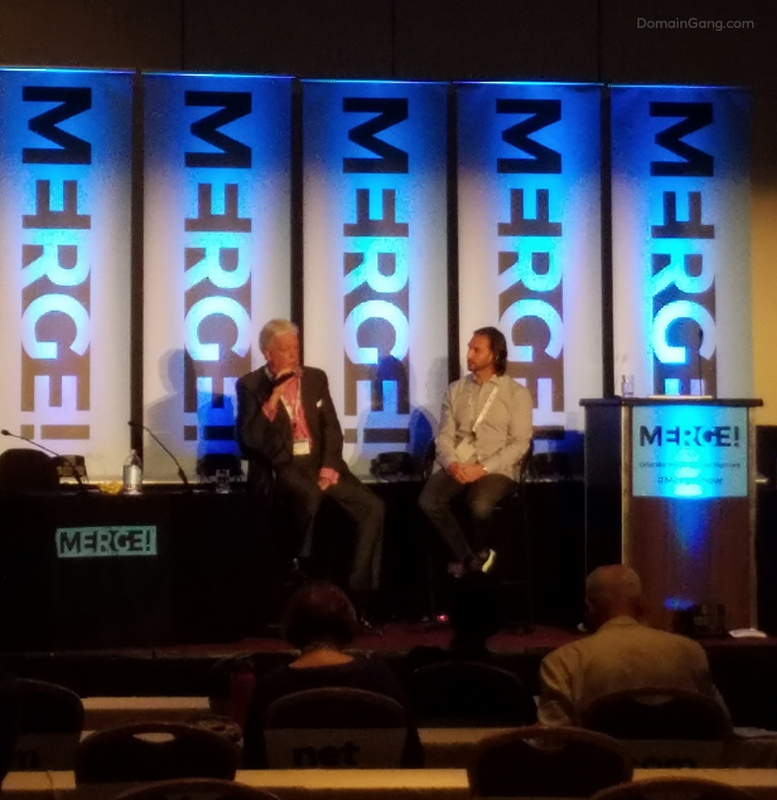 MERGE – Exhibits area: Joe Alagna of Afilias. 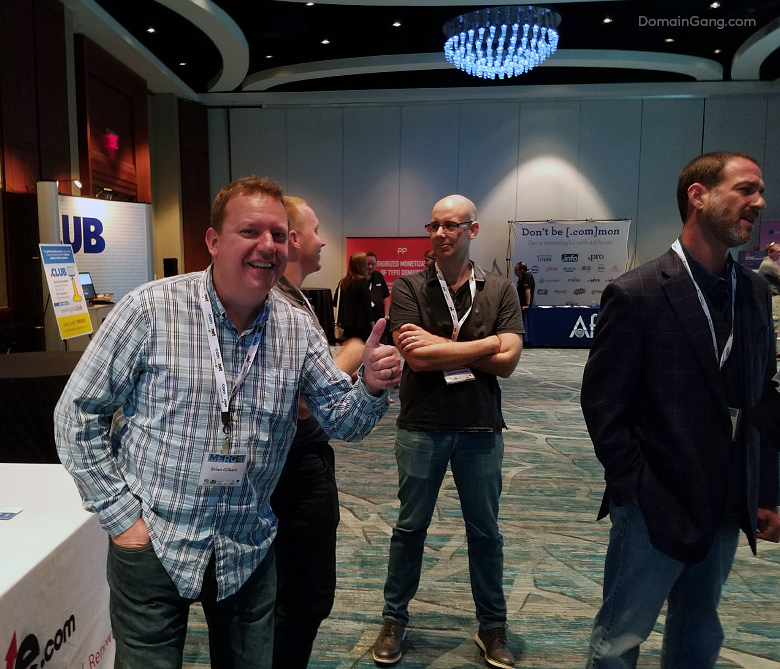 MERGE – Exhibits area: Brian Gilbert goofing off, along with Mike Robertson and the Whoisology founder. 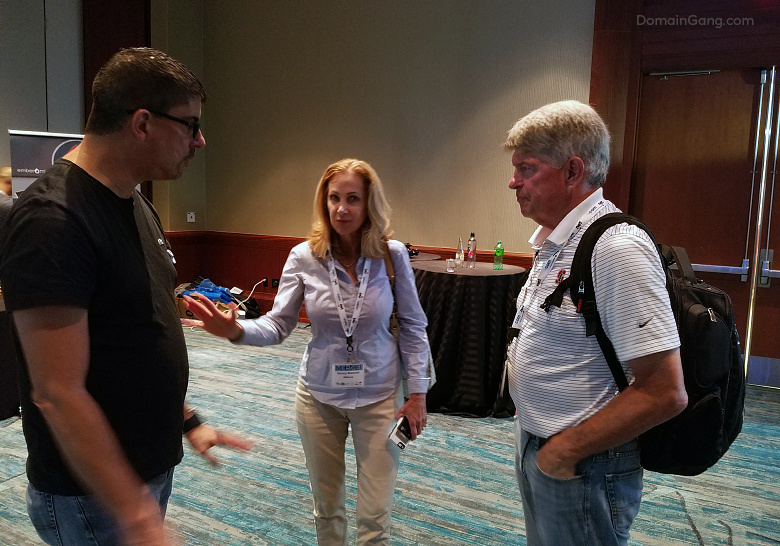 MERGE – Exhibits area: Eddie Sixto, with Nancy Bianchi of Above.com, and Brandon Abbey of Payoneer. 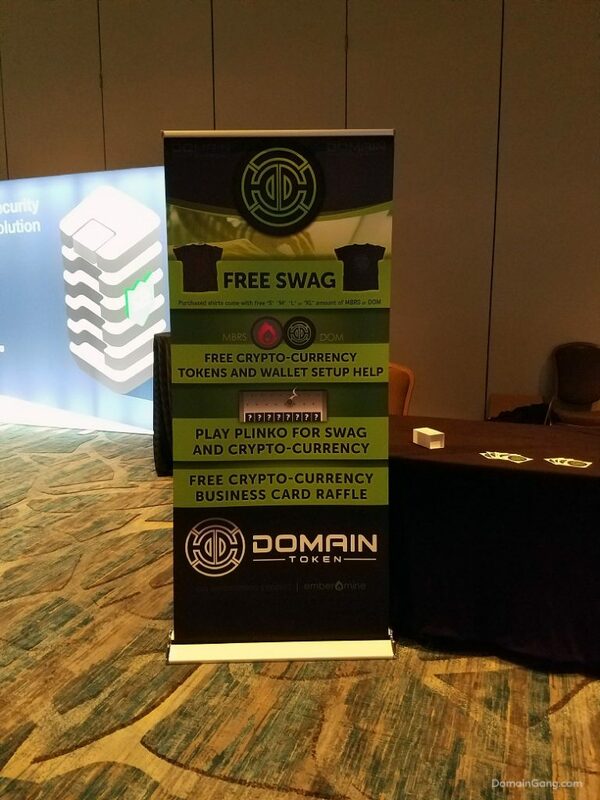 MERGE – Exhibits area: Domain Token. 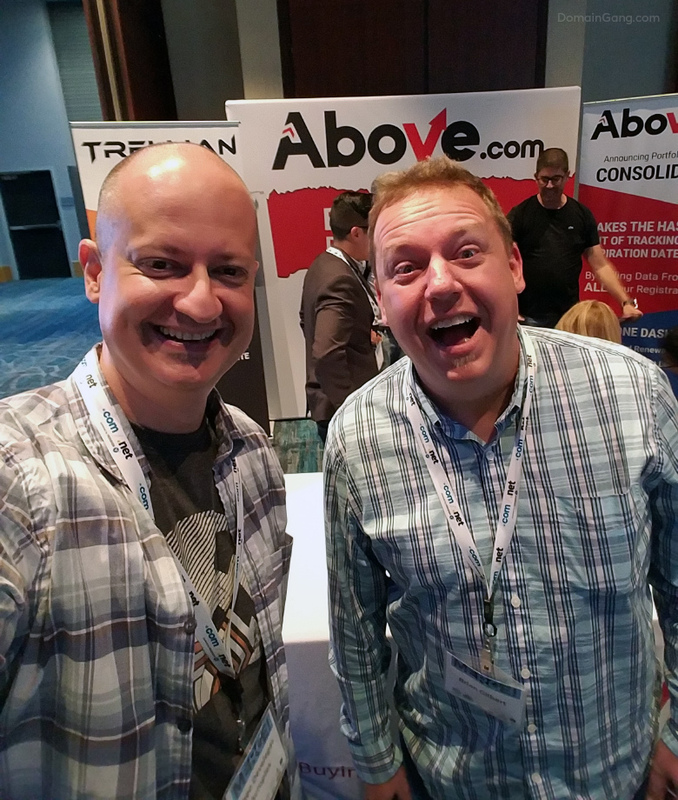 MERGE – Exhibits area: Yours truly, having a fun time with Brian Gilbert.